Belflyer, the son of Sun Stud’s sire Bel Esprit, entered the big stage with a surprise win in the inaugural $1.3 million-dollar Kosciuszko at Randwick. Belflyer charged home from back in the field to win the lucrative 1200 metre sprint by half a length taking his overall record to 13 wins from 55 starts with earnings just shy of $1 million. Bred in Victoria by John Shannon and foaled at Swettenham Stud, Belflyer was offered at the 2013 Inglis Melbourne Premier Yearling Sale through the Swettenham draft, with Shannon retaining the colt and placing him with his regular trainer John Moloney. Swettenham Stud’s Adam Sangster was thrilled with the result. “On behalf of Swettenham Stud, we would like to congratulate John and are excited for a long-term, close acquaintance client of the farm. We are thrilled how well the mare has bred for him, having produced the Group 1 winner and sire Flying Artie, and now the Kosciuszko winner Bel Flyer.” Sangster said. Initially, Belflyer a solid performer in Victoria, winning three of his first six outings. But after he remained winless for 12 months through to early 2016, he was sold and relocated to Grafton in NSW. Breeder John Shannon said he was sold for “peanuts”, while his half-brother Flying Artie ended up being named Champion 3YO Colt after winning the Group 1 Coolmore Stud Stakes and was later be sold to stud for millions. Fortunately for Shannon, he will soon race a yearling full-sister to Flying Artie, while Flying Ruby has produced a lovely Snitzel colt this season who will be sure to attract plenty of interest. 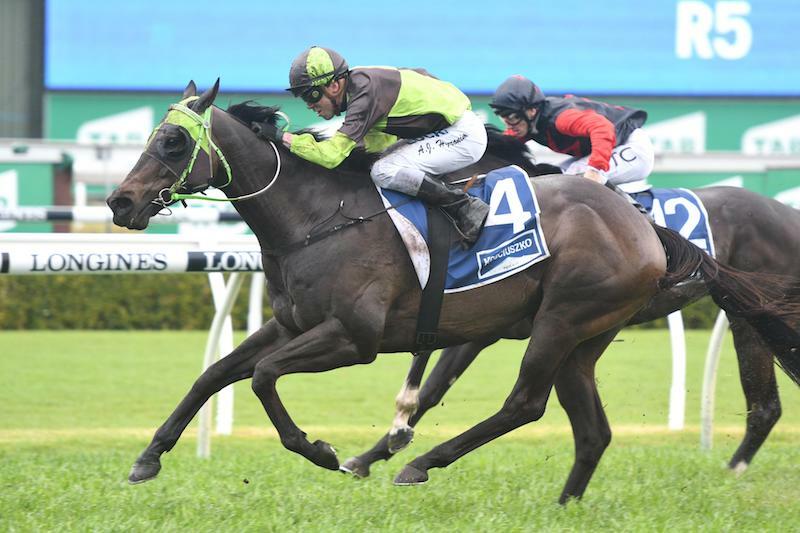 “There’s are a lot of highs and lows in this industry, and that was literally a fantastic high for Belflyer’s owners on Saturday. Couldn’t be happier for them,” Shannon said. For the connections of the Kosciuszko hero, their thoroughbred racing dreams had come true. Grafton- based John Shelton, a trainer for over 40 years, thought he would never win a $1.3 million-dollar race, while part-owner, Rodney Rideout, a trainer for over 25 years himself, it was the thrill of a lifetime. Rodney Rideout is the first to admit that lady luck has gone his way with Belflyer.